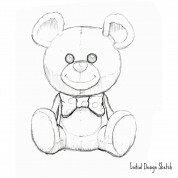 When you look at the artist sketch for our little Girl Teddy Bear clock it may strike you that your little girl's pendulum clock is in danger of wearing a bow tie! Not so, with a flick of the artist's pencil the bow tie is gone and replaced by a more fitting hair bow and the teddy has even had a lashes makeover! 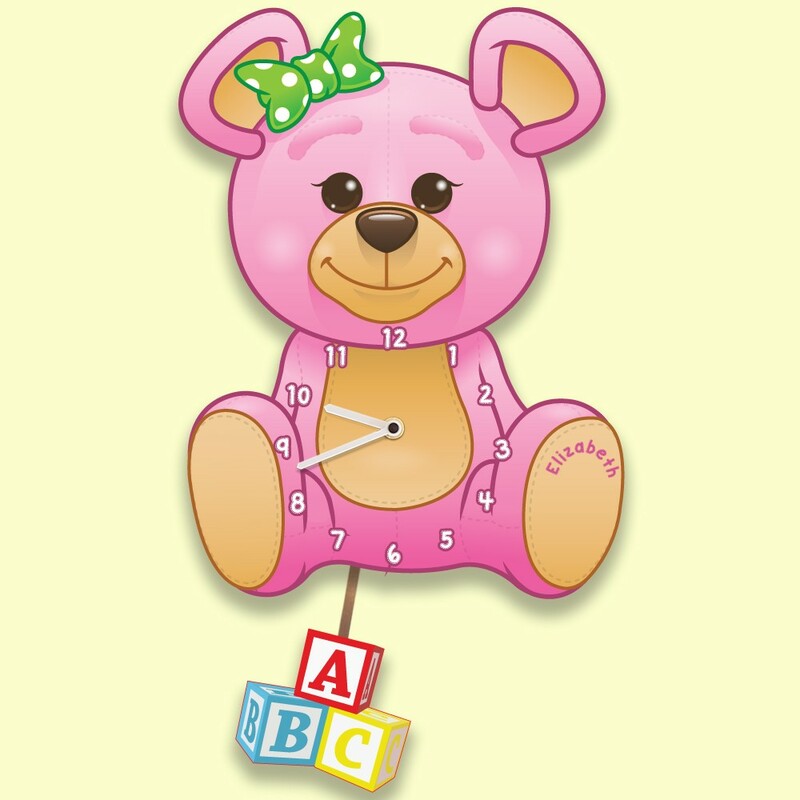 Children love to see things with their names on and at some stage their treasured bedroom clock is also going to become an educational aid for learning to tell the time. This is great additional benefit for a future date. 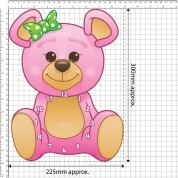 Because your Baby Girl's Clock is "made to order", we can add any name up to 12 characters (contact us if more required). The clock is printed before being laser cut to its individual shape. We only fit silent German quartz movements to ensure both quality and a peaceful sleep. This clock is designed, printed and cut in the UK before being hand assembled and shipped in a sturdy bespoke packing box. The design is unique and will stand out with its colourful little pendulum swaying back and forth. To ensure minimum weight we print direct to 3mm opal perspex which brings out the colours. We also round all corners to avoid sharp edges - even though its on the wall.